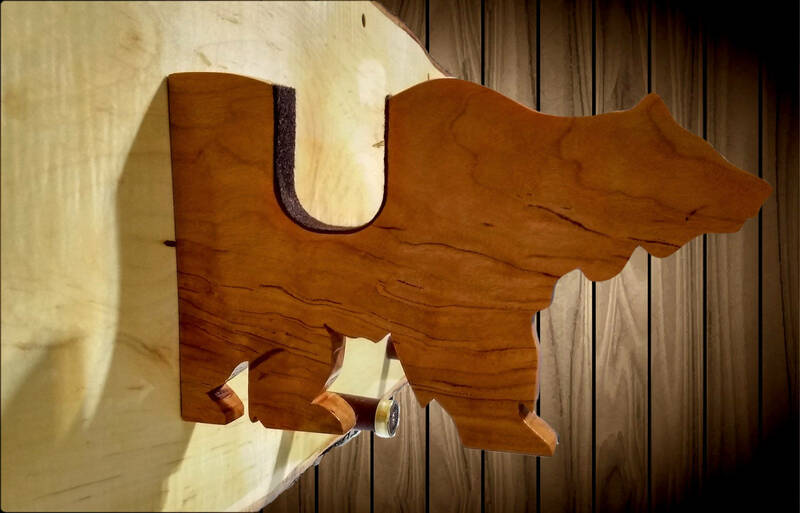 Makes For A Great Fire Place Mantel Showpiece. 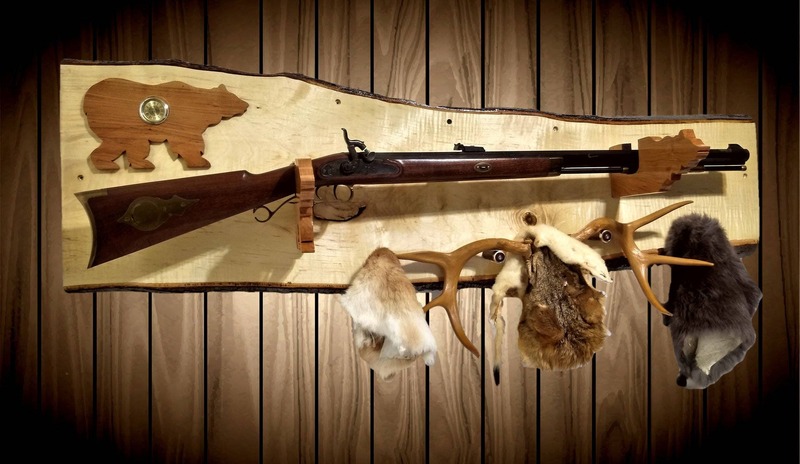 Solid Cherry Gun Hangers with Black Felt. 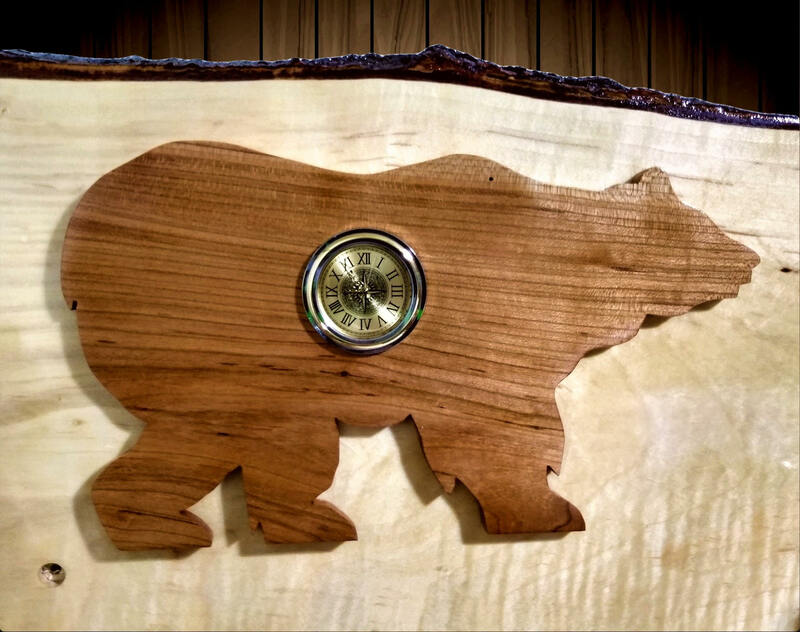 Cherry Bear Silhouette w/Brass Quartz Clock. 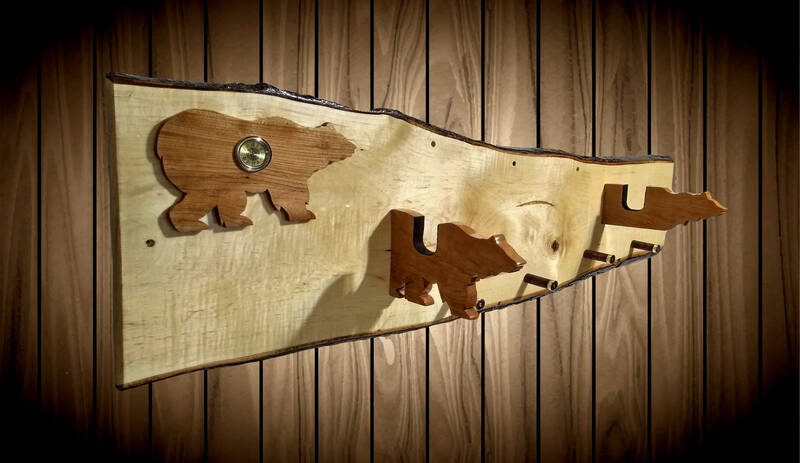 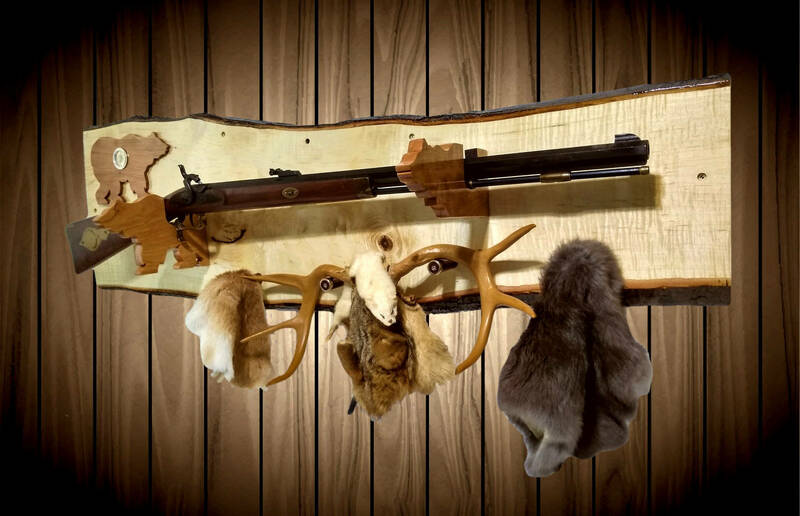 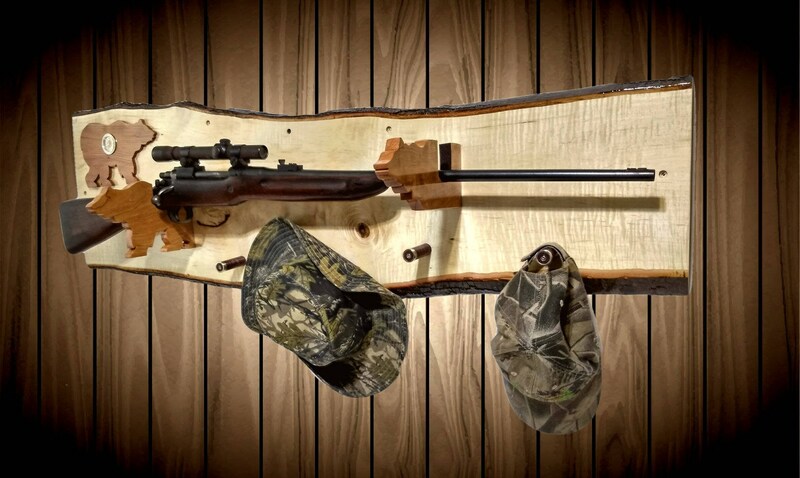 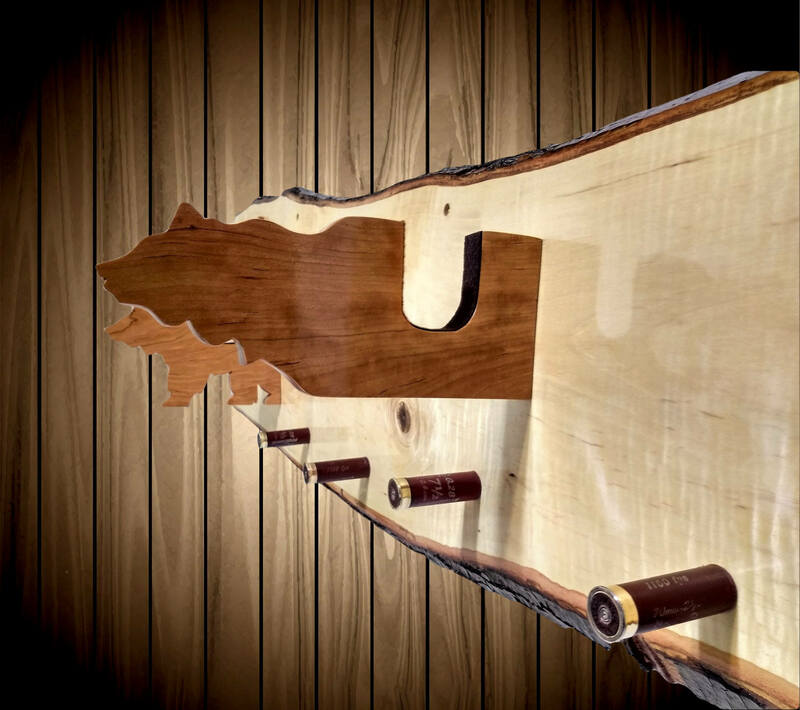 Be Proud and Display Your Gun with This One of a Kind Rack. 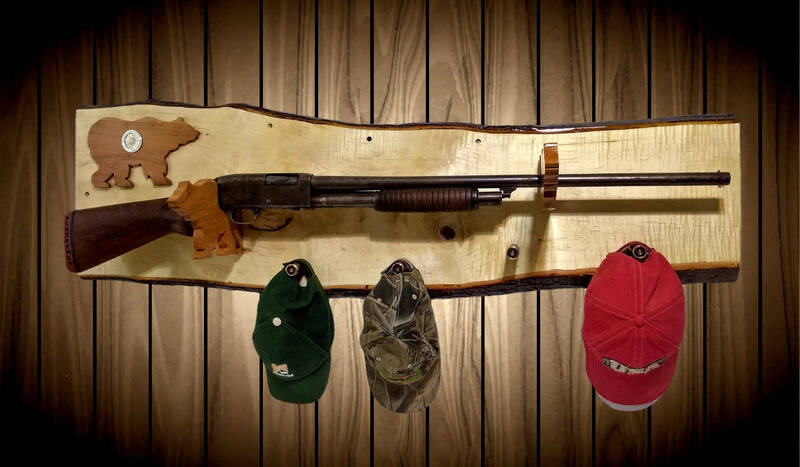 Four 12 Gauge Maroon/Brass Shotgun Shell Pegs.